Developer : Left Brain Games, Inc.
Fast paced run style game where you avoid defenders and obstacles as you make your way down the court. Learn to spin dribble around your opponents or split the defenders to avoid fouling. 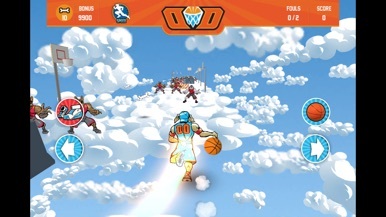 You can Shoot or Dunk at the side hoops for extra points and throw down your best dunk at the final hoop to complete the level. Compete against your friends and others at each level. 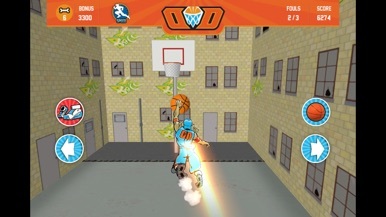 DunkDog is constantly moving forward towards the final basket but can earn extra points by shooting or dunking at the baskets on the sides along the way. 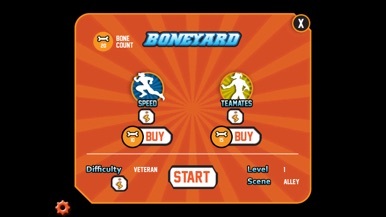 More by Left Brain Games, Inc.